Ddi DeShawn Stevenson make a mistake by opting out of his contract? The NBA draft occurred Wednesday night, a couple of hours after our deadline for this column, so coverage of that will have to wait until next time, but for now, let’s get into some free-agent chat. 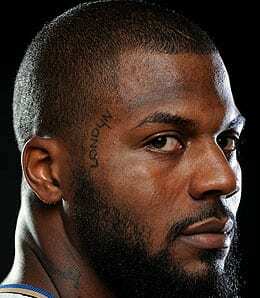 Orlando Magic shooting guard DeShawn Stevenson has opted out of his contract and elected to become a free agent. Now, that doesn’t necessarily mean that he won’t return to the Magic (in fact, the team has said it expects to re-sign him) but Orlando really would prefer a player that brings more offense to the table for that spot. Stevenson was decent last season, averaging 11 points per game and shooting very well from the field and the line, but he offers almost no outside presence. If the club decides to part with the six-year vet, who started every single game for the Magic last year, he could be part of a sign and trade. One free agent expected to get a healthy share of interest is forward Chris Wilcox, who showed great potential when he arrived in Seattle after a mid-season trade from the Clippers. Well, the Sonics didn’t waste any time, jumping right in there with a qualifying offer that gives them the right to match any other proposals he receives. Wilcox is going to want somewhere in the neighbourhood of $8 million to $10 million per season, but considering he won’t be 24 until September and absolutely exploded once he arrived in the northwest, averaging 14.1 points and over eight rebounds per game, he’s worth that kind of coin. Saturday is when free agent offers can start arriving from outside suitors, and Memphis is expected to go hot and heavy after Wilcox. But Seattle really needs to lock him down as he’s a tremendous long-term building block. Lamar Odom, who hasn’t exactly lit it up yet, has settled in as a solid all-around Fantasy forward since arriving in Los Angeles. But he is being discussed in trade talks. One rumour has him headed to Chicago for Tyson Chandler and the Bulls’ top draft choice in Wednesday’s draft (by the time you read this, you’ll know whether this happened or not). Odom has also been linked to trade rumours involving Golden State. He may never develop into the superstar many expected, but he had a decent season in helping the Lakers back to the postseason and a near-upset over Phoenix in the opening round. He was the second-leading scorer on the team with just under 15 points per game and paced the Lakers in both rebounding (9.3, 13th in the NBA) and assists (5.5). He also tied his career high in games, and set new bests in MPG (40.3, eighth in the association), field-goal percentage (48.1) and three-point percentage. Odom proved he was more of an all-around threat this season by recording a pair of triple-doubles. Assuming he remains a Laker, Odom is definitely part of the long-term mix of players to build around Kobe Bryant. Hey Knicks’ fans: didn’t you have enough drama this year? Larry Brown, after guiding the club to a franchise record-tying 59 losses this season, was canned on Friday. And now the glare is squarely on president, GM and now coach Isiah Thomas. Team chairman James Dolan didn’t pull any punches with Thomas, making it quite clear that if he doesn’t turn the club’s fortunes around, he’s gone too, and not just as the coach. Dolan further described how he “made a mistake” in hiring Brown, who had four years and $40 million left on his contract; how much of that he’s still owed is an issue that has yet to be resolved. But Dolan believes that Brown pulled another one of the episodes he’s becoming known for, namely, leaving his coaching gigs early. How much these antics are sullying what has otherwise been a brilliant coaching career is difficult to gauge, but I can tell you as a fan of the game, that his act is so tired at this point. Meanwhile, Thomas is New York’s fifth coach in the past three years. Well, Isiah, you better pull a rabbit out of your hat. A scenario where the Knicks somehow return to the .500 mark next season is very, very hard to envision. What’s much easier to envision is making a whole lot of money selling paper bags to Knicks’ fans. Something tells me that they’re going to need them – for multiple reasons. NEXT: Three in the Key returns July 13, when we can provide some draft analysis and check in on the free-agent market. Baseball fans can check out Spikes Up every Monday during the season. It will appear next on July 3.